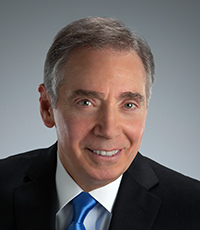 A well-known attorney for over 35 years, Attorney Stephen M. Forlizzi has a proven record of success achieved by placing the needs of his client's first and foremost in every case. We can continue to promise that at the Law Office of Stephen M. Forlizzi you will always be in contact with your attorney and not just an assistant. You will have easy access to your attorney and up to date information on where your case stands at all times. Thousands have allowed us to put our experience and determination to work for them-and we can do the same for you! Contact us for a consultation today. We have a proven record for obtaining the compensation our clients need to put their lives back on the right track after an accident. 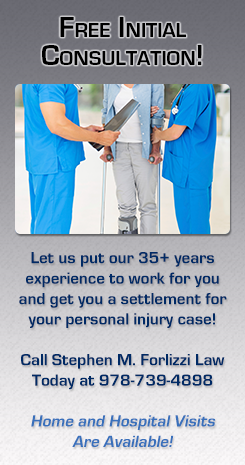 Over the years, our firm has successfully handled thousands of personal injury claims, and we can put that experience to work for you. Like many personal injury attorneys, you wont have to pay us anything unless we are able to successfully win compensation for you. Unlike some attorneys, however, we won't promise you more than we believe we can achieve. The only promise we make is to do whatever can be done to pursue the absolute best resolution of your case.